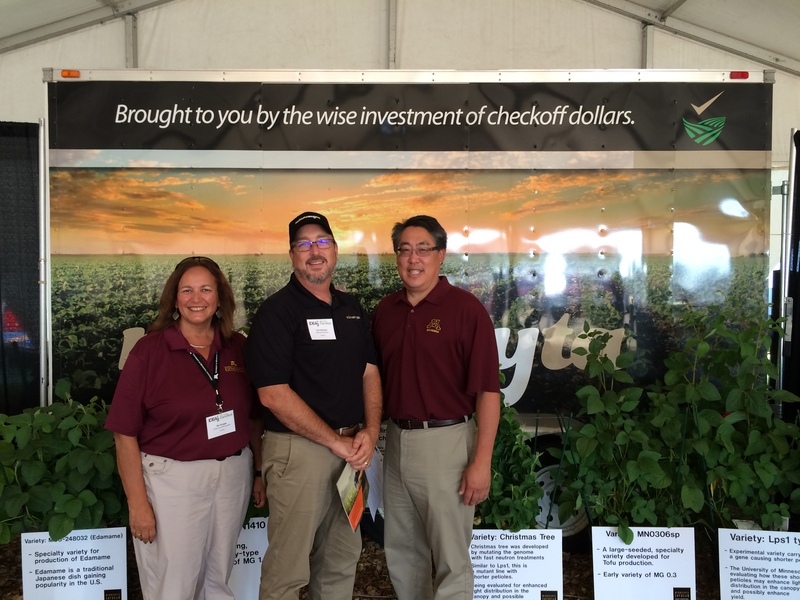 Through my role as CEO, I’m given the opportunity to help the soy industry in Minnesota develop and realize new potentials from seed development to processing and securing new markets. With direction provided by our farmer leaders on the Minnesota Soybean Growers Association and the Minnesota Soybean Research & Promotion Council, we have been able to assemble a talented, driven team not typically found in an organization of this size. Through the skills and dedication of this team, we can seek out, develop and execute opportunities within the soybean industry, including key legislators, influencers, industry partners researchers, processors and farmers. My definition of ag is simply Minnesota. Minnesota is ag. We benefit from rich soils and adequate rainfall. The diversity of our ag is only second to the strength of the diverse people who work in agriculture. We lead the nation in turkey production and processing and are No. 3 in pork production. With large beef and dairy producers, it’s no wonder Minnesota rich in food companies and equipment manufacturers. While we are landlocked, ag production has enabled alternate shipping routes to allow our ag products to reach every part of the world. In agriculture, people tend to be hardworking, driven and passionate. They also tend to stay in the industry, so the quality of life is important in recruiting new talent. At Minnesota Soybean, our employees adapt quickly to a diverse Greater Mankato area. The region offers many entertainment options, from fine dining to plays, to outdoor concerts and social groups. Our region also supports a robust system of walking and bike trails, a strong parks system, and is surrounded by lakes and wildlife habitat for outdoor enthusiasts. Our public-school system is as good as any in the state, and we boast five colleges in the region. Many students today may not know how many opportunities in Ag there are. Too many people think agriculture and picture a farmer in their mind’s eye. And why wouldn’t they? Farmers are the backbone of the industry. However, farmers wear many hats, and as the industry has grown, there are just too many hats for one person to wear. My advice for today’s students would be to keep an open mind. Agriculture may start with the farmer and end with the farmer, but in between, there are needs in bioscience, aerodynamics, engineering, mechanics, chemistry, biology, accounting, computer programming, communications, marketing, sales, law – the list goes on and on. You don’t have to come from agriculture to have a positive impact on agriculture while carving out a good career. Most importantly, Minnesota Ag, the state’s second-largest employer, needs you. Minnesota is home to ag, so welcome home.